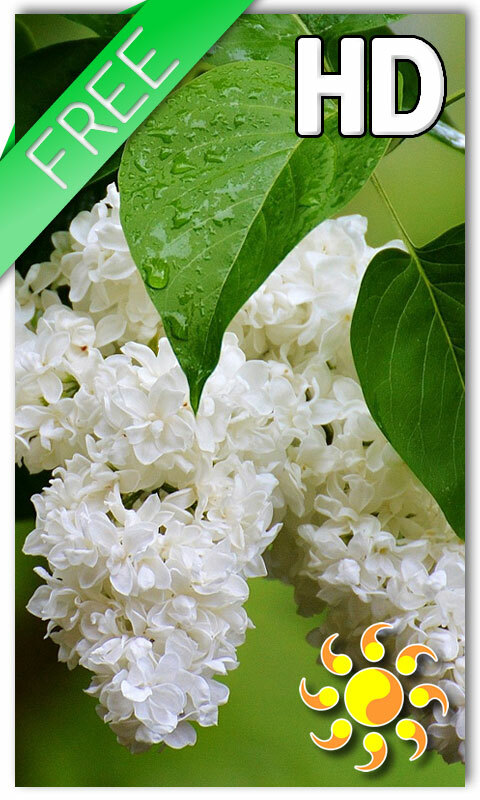 Lovely picture of the flower of white lilac, like a pearl in the sun, after a cool may rain animated live Wallpaper. It lush bunches resemble a fan, and exquisite and divine aroma excites and unforgettable. Dark green leaf of lilac, similar to the heart, dotted with drops of rain. In the period of flowering white lilac cities and towns are elegant, gorgeous and dazzling, convey the feeling of peace and genuine charm of mother nature. Animated rain droplets our developers have enlivened the picture, the speed and amount that you choose yourself in the settings of our application. Download our live Wallpaper Flower lilac Drops, fill yourself with the aroma of blooming white lilac, lovely plants, looking at which one cannot remain indifferent to nature, but rather to admire its beauty and generosity. 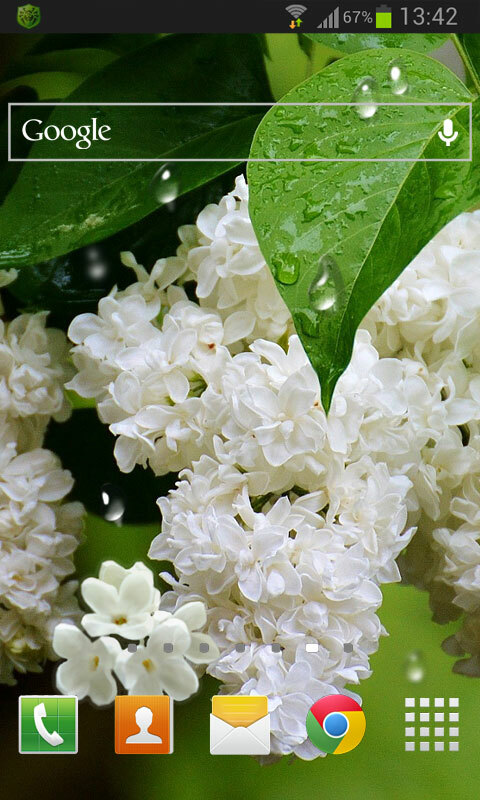 Tags: flowers, white lilac, leaves, branch, drops, rain, nature, plant, bush, bloom, blossom, live wallpaper, LWP, picture, image, free, for android, desktop, photo, HD, for screen.